There were four Trash fashion, two hour workshops facilitated each week by CAP artists. The group had decided they would like make accessories to wear that would be useful and keep the children warm at the upcoming event. 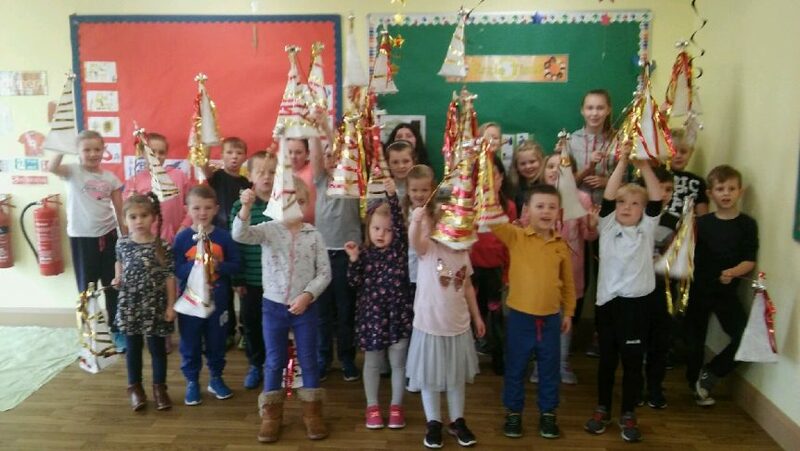 So CAP artist, Heather Douglas got the little Bleary elves to work very hard each week, and low and behold – with a sprinkle of Christmas magic, Reindeer hats, Elf scarves and Glitter snowman back packs were born – a Trash fashion special. But of course The little Bleary Elves were missing something? Ah ha! Thought Heather, sure no Christmas Tree event would be complete without CAP artist, Sally Young’s wonderful Christmas lantern making workshop . Now our little Bleary Elves have lanterns to light the way to the Christmas Tree lights switch on.